Big discounts and promos await all PayMaya account holders! It’s a great time to be a PayMaya account holder this Christmas season with lots of discounts, rebates, and freebies coming your way. Use your PayMaya to shop and complete your holiday gift list so you can share the love to family and friends during this season of giving. 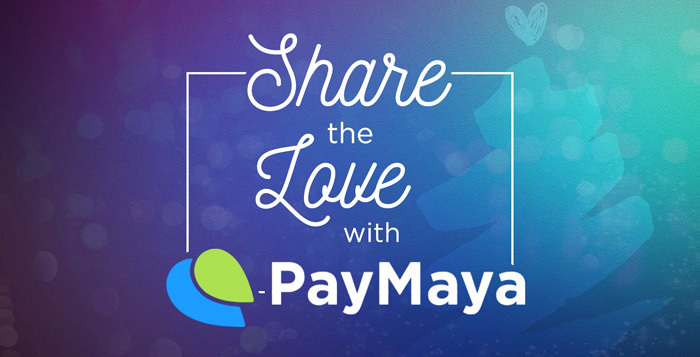 “Christmas is a season of giving, and we’re happy to help our customers share the love over the holidays with PayMaya. This is our way of thanking our customers in helping us achieve a very fruitful year as the leader in digital payments in the Philippines,” said Paolo Azzola, PayMaya Chief Operating Officer and Managing Director. Spreading the Christmas cheer to all is also made easier with exclusive discounts to PayMaya account holders when they shop at Lazada and Zalora. Users can enjoy an additional 20% discount when they shop at Lazada until December 15 by using the code PYMYDEC. Meanwhile, fashionistas looking to complete their holiday outfits can look forward to a 20% discount this month when they shop at ZALORA, simply by entering the code PAYMAYAHOLIDAY upon checkout. The discount rises to as much as 25% during Zalora’s Online Fever sale event on December 12 to 15 with the code PAYMAYAFEVER25. These discounts are on top of the already deep discounts being offered by Lazada and Zalora this December. With PayMaya, it’s easy to let your friends and loved ones know that you care about them. And with PayMaya in Facebook Messenger, both of you can feel the love as well! Simply sign up or link your existing PayMaya account in Facebook Messenger and refer friends to sign up too and you will both get P50 in your PayMaya accounts. To do this, all you have to do is share the promo link that you will receive from PayMaya in Messenger to up to 25 friends with Android devices to start earning the referral bonus. Subscribers of all mobile network in the Philippines may sign up until December 19 and get the bonus amount, which will be credited to their accounts in 2 to 3 business days. “All of these privileges highlight that paying with your PayMaya is now better than simply paying with cash. Using their PayMaya accounts, shopping online and in-store, sending money to others, and purchasing load or paying bills is easier than ever. We can’t wait to share even more exciting things and experiences exclusive to PayMaya account holders that we have in store for the coming months,” shared Raymund Villanueva, Issuing Head at PayMaya. Getting a PayMaya account is easy and instant. Just download the PayMaya app via iOS or Android and register. With PayMaya, there are a million ways to share the love to your friends and family because all PayMaya app registrations, physical card activations, and purchases worth at least P1,000 from today until December 23 will earn raffle entries for PayMaya’s #MerryMillionaire promo. Users stand a chance to win P10,000 in the weekly draw and a whopping P1 million tax-free in the grand draw, which will give them even more reasons to spread the love to others this holiday season. And to make it even more convenient to load your account, PayMaya has further expanded its long list of loading partners to include all branches of Cebuana Lhuillier and ExpressPay, as well as the online banking platforms of RCBC and Metrobank. This is on top of the more than 15,000 top-up facilities already available nationwide such as Robinsons Department Store Business Centers, SM Business Services, TouchPay kiosks, 7-Eleven, Palawan Pawnshops, Shopwise, Wellcome, 2Go outlets, Petron stations along NLEX, and Smart Padala centers down to sari-sari stores in grassroots communities, and Unionbank ATMs. PayMaya Philippines, the country’s pioneer and leader in cashless payments, is the digital financial services arm of PLDT’s Voyager Innovations. To know more about its products and services, visit www.paymaya.com.